Just giving you a heads up since our Kickstarter campaign ended. I've been busily writing down all the requests from donors for swag and adding them to the Thank You page on Cabiria's website. If you have not already answered the survey questions from the Kickstarter website, please do as orders need to be placed all at once per vendor. Some of the swag that's already been placed for delivery to Cabiria HQ are the bistro mugs, which are 16 oz. (not 14 oz. as previously stated), the tote bags, and the DVDs. I'm still waiting on some coffee orders, then that will be ready to place as well. Yum! Today I went to see Pamela Bartual of Mark Da Grading services, and she should have my pattern pieces ready to go into production very soon. Tomorrow, I meet with her again, and then with the factory right here in New York City, in order to having everything through the workroom as soon as possible. It's really happening, people, thanks to you! As a matter of fact, because of your largesse, I was out buying more fabric today to fill more orders. I can't even tell you how exciting that is to me - that my storeroom needs to be replenished to meet demand! How COOL is that?? And finally, I was sent the first shipment of business cards and hang tags by Triple Stamp Press. They were printed using a double pass white ink on heavy black stock, and I think they are some of the sexiest hangtags and cards I've ever seen. Hooray! On October 23rd, Cabiria launched a Kickstarter campaign to raise $8,000 towards funding production of the Spring Summer 2013 Collection, and we reached that in just over a week. Since then, we've become the MOST SUCCESSFUL PLUS SIZE CAMPAIGN EVER on Kickstarter. That is in terms of percentage raised over the initial goal and amount of dollars raised. This is stupendous! Now, more than ever, I need your help. 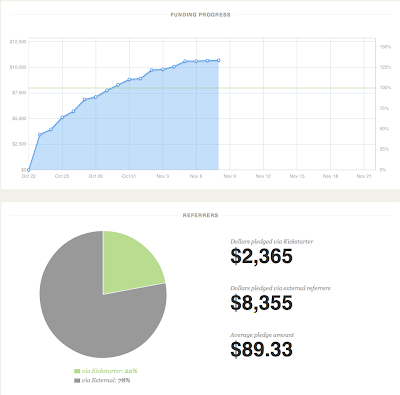 Any amount you give, from $1 on up, will bounce our analytics higher on Kickstarter. More interest in the campaign means more outside interest from outside our friend circles. More interest creates Staff Picks and Popular placement on the site, introducing the campaign to more people. 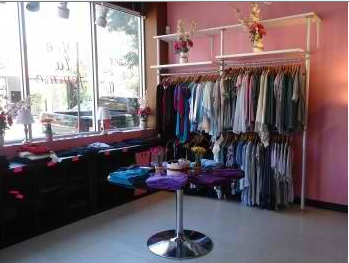 More interest means more donations and more possibilities for getting more clothing into more hands. We've gotten great mentions in Plus Fashion Blogs, we were interviewed for a radio podcast broadcasting from New Zealand, and interest from wholesalers from all over North America (I'm including Canada here) from the publicity about this campaign. My alma mater, Pratt, placed the campaign in their Curated Page. It's all great news, but we still have 13 days to go. If you have not already, please contribute. If you're involved in Social Justice, Equality, Costume, Fashion, Design, Plus Size, Straight Size, Feminism, Entrepreneurship, Startups, Bootstrappers, Classic Movie Buffs, Europhiles, or just delight in seeing things go viral, you have an audience for Cabiria. Please spread the word and really get this campaign out there, across platforms! 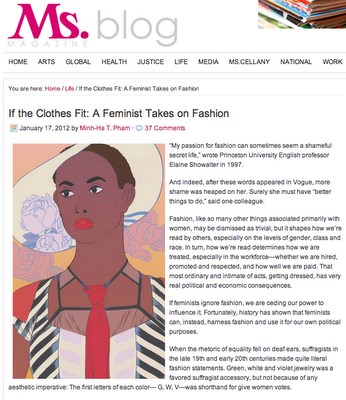 3. a fascinating article written for Ms. Magazine titled "If the Clothes Fit: A Feminist Takes On Fashion? ", which incorporates the social justice part of Cabiria's message. I'm in a celebratory mood today - first of all, thanks to your continued support, we are now the most successful plus size project EVER on Kickstarter! That's both in terms of percentage raised over initial goal (133% so far) and amount of money raised. Stupendous! Let's smash that record even more, and show those 1000% funded tech projects what for. Great news today, other than the election of course, is that as a Pratt Institute alumna, our project was chosen to be featured on the Pratt Curated Page here on Kickstarter. It's great to receive that acknowledgment from such an esteemed artistic authority. 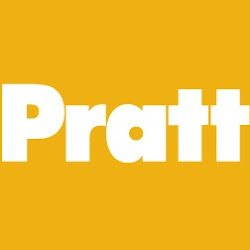 Check it out by clicking the big yellow "Pratt" button. 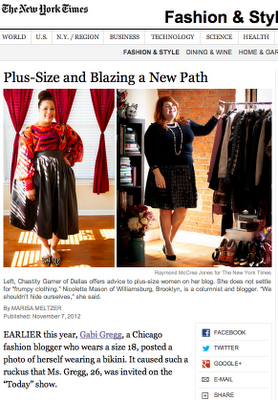 And finally, we've been getting a lot of press mentions in fashion and plus size blogs around the internet. I was interviewed for a radio show in New Zealand earlier this week (I'll let you know more details when it becomes available Thursday or Friday), and have been collecting those mentions on our press page on the Cabiria website. Let's keep the ball rolling - we still have 14 days in the campaign, and there's so much I can do with stretch goal funds. Thank you again, and please spread the word! following is a screen grab from the latest blog to review us, "My Therapist Told Me to Write a Fashion Blog". See more great reviews on our press page. First of all, thank you so much for this great momentum we have on Kickstarter. We're 132% funded and still have 16 days left in the campaign! I can't even tell you how exciting this is, and I'm so glad you believe in Cabiria and it's message of social justice through beautiful clothes. I've been talking to some potential retailers for stocking the line, and potential business backers who want to expand the way we're currently structured (one woman running around like a chicken). I'm a designer. I like to think of myself as a pretty good designer. But in starting a project like this I've had to scale a pretty steep learning curve to become a proficient traditional marketer, social media marketer, public relations person, accountant, photoshoot producer, web developer, tech pack producer, factory production manager, sales rep, and fashion lawyer. Oh yeah, and autodidact MBA. I wouldn't say I'm great at any of these, although I'm not too shabby for an art school graduate (cough). All that said, I'd love to work with people who do these things well and with ease, all in concert to make the end result access to beautiful clothes. Big plans! In the meantime, the knowledge that I will receive funding from Kickstarter backers at the end of the campaign has allowed me to order beautiful hand screened hang tags and business cards from an independently owned press in Richmond, VA. For a long time I'd been hunting for the perfect hang tag - those heavy cardboard tags that hang off garments to say what brand they are, and that hold the secondary information, price and RFID tags. I obsess about these small details because I really do think that the details are part of what differentiate Cabiria from others out there. All the details, on the clothes and off. I can't wait for them to arrive in the mail so I can show them off! The funding has allowed me to look at planning a trunk show or three with Bombshell Boutique in St. Paul, MN, Vive la Femme in Chicago, and The Voluptuous Vixen in New Orleans. The funding allows me to consider making more pieces than the original factory quota that I'd need to meet, so I can have more to sell to more retailers. More access for customers. 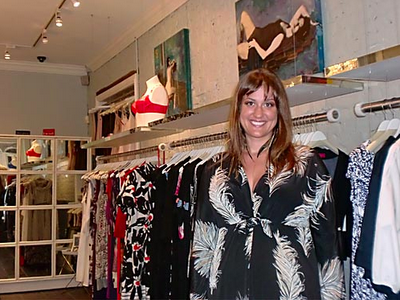 It also allows me to devote stock to online retailers that we can pair with so there's more ways to get the clothes. Reaching past the funding goal has allowed me to start conversations with silk mills to make our own production runs of fabric, so we aren't limited to job lot fabrics sourced in the marketplace. Meaning if you want that dress in that print, it's yours. And reorderable. Every dollar added allows all these possibilities to come together. Thank you for helping me reach these goals and create new opportunities together. As always, please spread the word! On October 23rd, Cabiria launched a Kickstarter campaign to raise $8,000 towards funding production of the Spring Summer 2013 Collection, and we have in just over a week gotten to over 110%. That covers our original intention, and starts towards our stretch goals. Thank you so very much. During that week, an unprecedented Superstorm devastated my beloved adopted hometown, and many many people will be effected in the long term. It becomes somewhat of a conflict that I am conducting what could be seen as an unimportant, frivolous personal drive during a time of much greater priorities. I encourage you to contribute to both. Everyone pitching in with the existing government infrastructure and NGO relief efforts, as well as personally helping neighbors will bring New York City and it's environs back, like we have before. Contributing to Cabiria helps in small part by building a future that is better socially, reaching outside the scope of our here and now. Cabiria is also on a finite timeline with Kickstarter, and is forced because of the platform's rules to continue despite tasteful prudence, or lose everything we've gained in the week before the storm. If you haven't become involved already, Red Hook Initiative, LES Recovers, Hoboken's community board, and a number of other community organizations are working hard to get our city back on it's feet. I also encourage you to donate to The American Red Cross today, and earmark it for Sandy recovery. If you need immediate support due to the storm and it's aftermath, please contact one of the organizations above, or privately contact me and I'll do what I can. Contribute to human kindness and extend love to everybody.